Supreme Tumblefresh is a super absorbent bedding suitable for all small animals, including rabbits, guinea pigs, hamsters, chinchillas, gerbils, rats, mice, degus, hedgehogs, ferrets, birds and reptiles. It is hypoallergenic and virtually dust free, making it particularly safe for those that suffer from an allergy. Tumblefresh helps to eradicate odours and lasts longer than traditional bedding. No trees were cut down to make it – which is why the natural colour of Tumblefresh may vary. 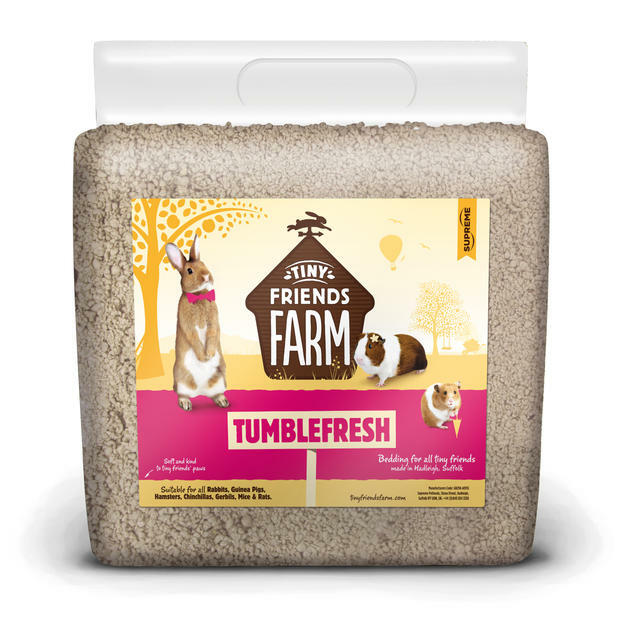 Tumblefresh is a natural product, made from surplus virgin wood pulp that makes great compost after use. 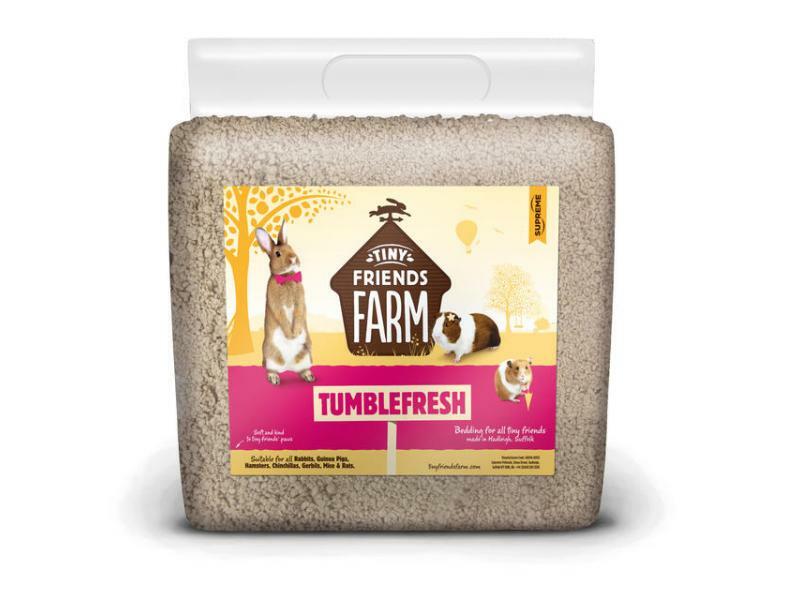 Tumblefresh is an ultra-absorbent, super-safe bedding for all small animals including rabbits, guinea pigs, hamsters, gerbils, chinchillas, degus, hedgehogs, mice, rats, ferrets, reptiles and birds. It is also ideal for pets that are being hand reared or require post-operative care. There are currently no questions for Supreme Tumblefresh Premium Pet Bedding - be the first to ask one!